Elizabeth Fry (née Gurney) (21 May 1780 – 13 October 1845) was a Quaker minister famous for her pioneering work in prison reform. She is currently depicted on the British £5 note. Elizabeth Gurney was born in Norwich, Norfolk, on 21 May 1780, one of the 12 children of John Gurney and Catherine Bell. Both her parents were from families that belonged to the Religious Society of Friends, more commonly referred to as the Quakers. 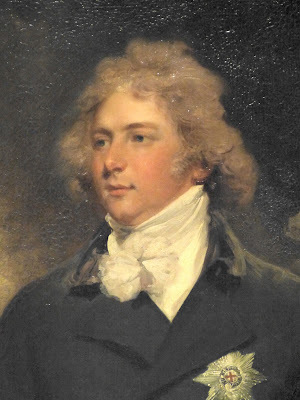 John Gurney was a wealthy businessman operating in the woollen cloth and banking industries. Elizabeth, known as Betsy, was moody, often unwell and tormented by numerous fears. She was dubbed stupid by her siblings for being slow to learn, but was most probably dyslexic. In 1792, Betsy was devastated when her mother died. Betsy’s family were ‘gay’ Quakers as opposed to ‘plain’ Quakers. Though they attended the weekly Quaker meetings, they did not abstain from worldly pleasures like the theatre and dancing or wear simple clothes as ‘plain’ Quakers did. 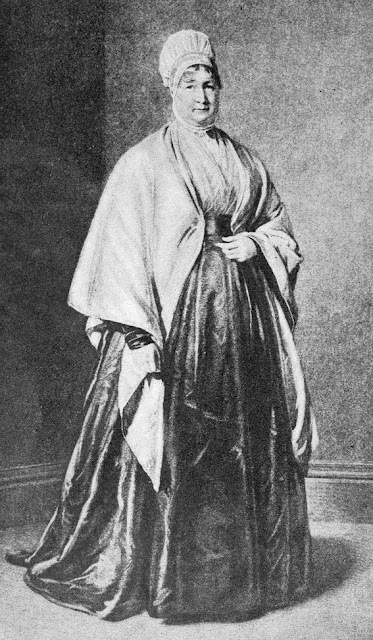 Betsy gradually adopted the ways of a plain Quaker, wearing the simple dress and Quaker cap in which she is depicted on the British £5 note. 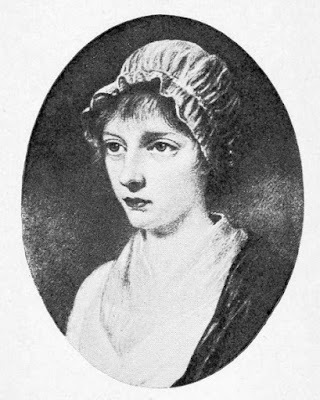 In 1811, Betsy became a minister for the Religious Society of Friends and started to travel around the country to talk at Quaker meetings. 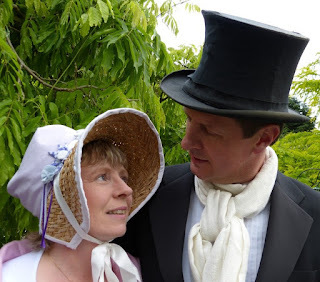 On 19 August 1800, Betsy married Joseph Fry, a plain Quaker whose business was tea and banking. They went to live in Mildred’s Court in Poultry, Cheapside, London, which was also the headquarters for Joseph’s business. In 1808, Joseph inherited the family estate at Plashet in East Ham, further out of London. It was a fruitful marriage though not always a harmonious one. 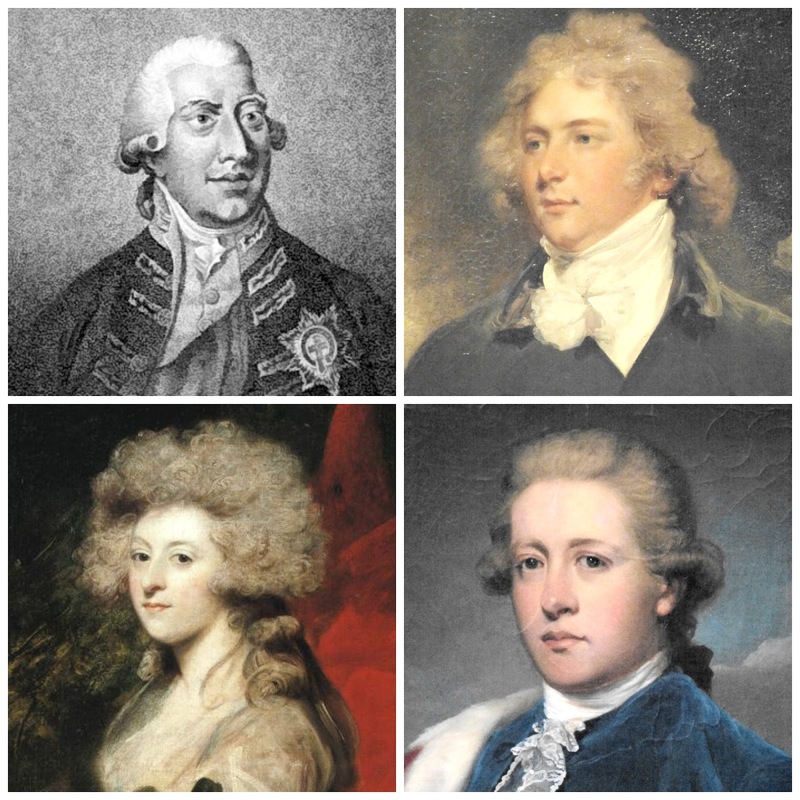 Joseph and Betsy had 11 children: Katherine (1801), Rachel (1803), John (1804), William (1806), Richenda (1808), Joseph (1809), Elizabeth (1811), who died young, Hannah (1812), Louisa (1814), Samuel Gurney (1816) and Daniel Henry (1822). Throughout her life, Betsy was active in helping others. At Plashet, she established a school for poor girls, ran a soup kitchen for the poor in cold weather and was the driving force behind the programme for smallpox inoculation in the parish. In 1813, while living at Mildred's Court, she visited the women’s wing of nearby Newgate Prison for the first time. Betsy was filled with compassion for the awful state of the women and took flannel clothes with her to dress their naked children. Over the next few years, Betsy’s life was absorbed by family issues, but in 1816, she resumed her visits to the women in Newgate Prison. 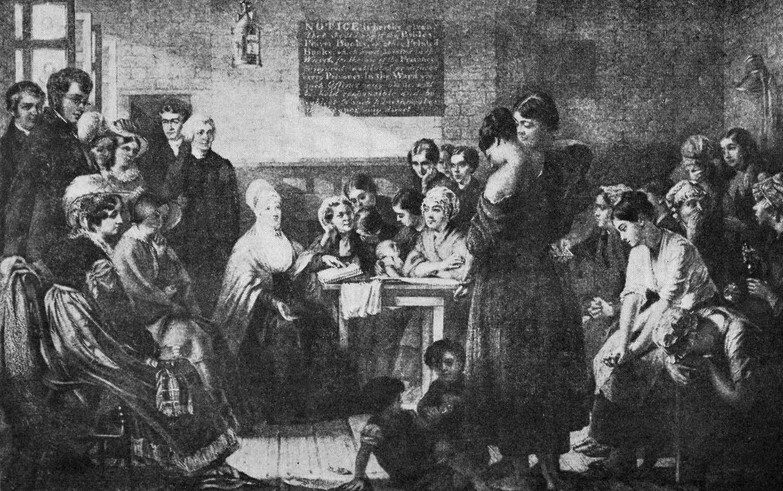 With the support of the female prisoners, she set up the first ever school inside an English prison and appointed a schoolmistress from among the inmates. Encouraged by her success, Betsy set out to help the women themselves. She read the bible to them and set up a workroom where the women could make stockings. All the female prisoners agreed to abide by Betsy’s rules. Against all odds, the scheme was successful. The women became more manageable and the atmosphere of the prison was transformed. 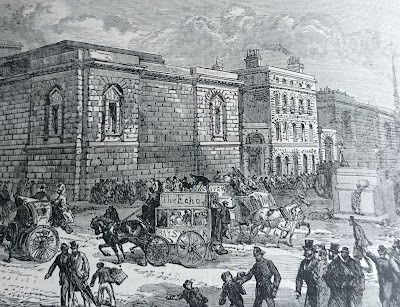 News of Betsy’s success spread and she was inundated with requests for advice from prison authorities and ladies who wanted to set up prison visiting. 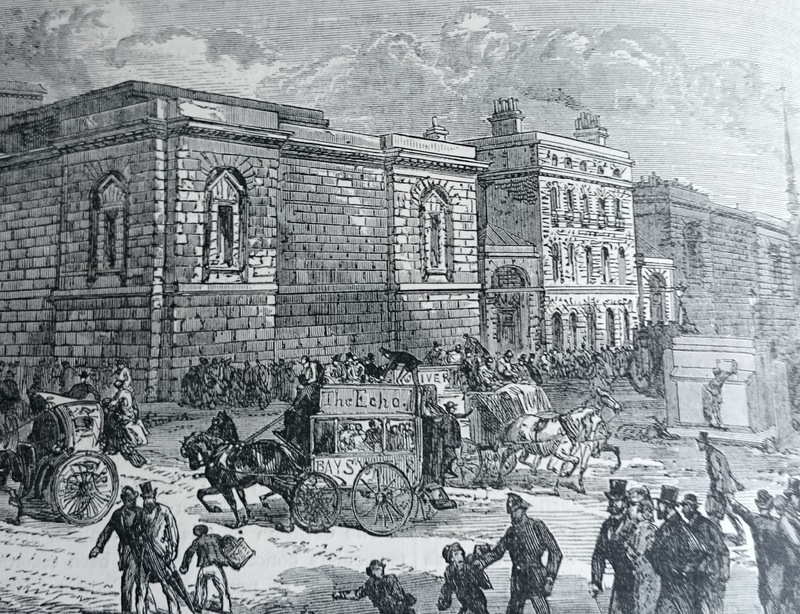 Over the years that followed, Betsy visited prisons up and down the country, in Scotland, Ireland and on the continent. She became one of the foremost authorities on prison conditions and twice spoke as an expert witness on the subject to Parliamentary Select Committees – in 1818 and again in 1835. Many of Betsy’s recommendations were included in the Prison Act of 1823 and in 1827 she published Observations on the Visiting, Superintendence and Government of Female Prisoners which became a manual for good management of prisons and prison visiting. Betsy found it hard to balance family life with her extensive ministry. She was plagued continuously with ill health and oscillated between periods of intense activity and times of nervous exhaustion and depression. She often had to delegate her domestic responsibilities to her husband and other family members whilst she devoted herself to good works. Although Joseph always supported his wife, he sometimes complained that she neglected him. The Frys were often forced to economise because of financial problems with Joseph’s business. Betsy’s brothers repeatedly came to their rescue, but in 1828, Joseph was declared bankrupt. They had to move permanently to a much smaller house in Upton Lane, Essex, and Joseph was expelled from the Society of Friends in disgrace. As well as her prison work, Betsy was able to improve the lot of women being transported to Australia for their crimes, providing them with a bundle of belongings to help each woman make a fresh start after their long voyage. 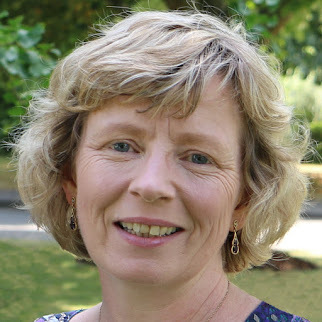 She instigated a project to provide libraries of books for the coastguards whose chief role of preventing smuggling made them isolated and unpopular. This was so successful that the government took over the project and extended it to the navy. Betsy also set up the first nursing academy, to train nurses who could go into private homes and provide care for those who could not normally afford it. Betsy died on 13 October 1845 whilst on a holiday in Ramsgate. Her funeral was held at the Friends’ Meeting House in Barking on 20 October. The funeral procession from her house to Barking was over half a mile long. Even more mourners waited in Barking to celebrate the life of this remarkable woman. In 1914, a marble statue of Elizabeth Fry was erected inside the Old Bailey in London, on the site of the Newgate Prison where her prison ministry had begun. (1) From the journal of Elizabeth Fry, 4 September 1798, as recorded in Life of Elizabeth Fry: compiled from her journal, as edited by her daughters, and from various other sources by Susanna Corder (1853). (2) Corder, De Haan, Hatton and Isba all record Elizabeth Fry's death as the 13 October 1845, but some sources state the 12th. The fashion for putting powder in your hair allegedly started with Henry IV of France (1553-1610) who started using brown powder in his hair to hide the grey hairs. Those around him hurried to adopt the custom. It did have an additional benefit. Powder helped to reduce the greasiness of the hair which was useful at a time when hair washing was certainly not a daily pursuit! The rarest and most expensive wigs were white. As a result, people put white powder on their wigs in order to make them look as white as possible. People also used white powder on their hair. It intensified the blondeness of very fair hair but made darker hair look grey, the shade depending on the natural hair colour. 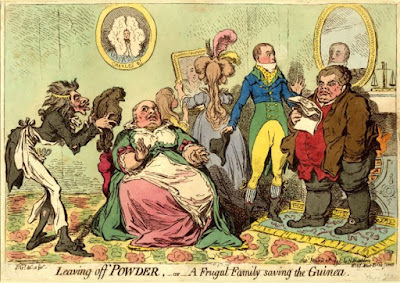 Powder was not just a fashion adopted by the few; its use was widespread throughout most of the 18th century and not to use it was seen as a breach of social etiquette. “Monsieur bowed and shrugged, just like an overgrown monkey. In a moment I was overwhelmed with a cloud of powder. ‘What are you doing? I do not mean to be powdered,’ I said. 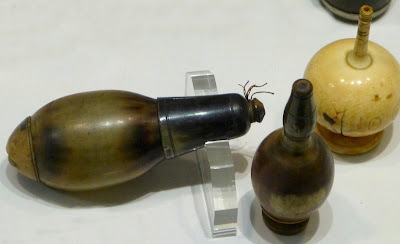 What was hair powder made from? Hair powder was made from flour or starch and varied considerably in quality, with the best powders being made from highly refined starch. Although white was the most popular colour, other shades were also used, including brown, grey, orange, pink, red, blue and violet. Putting on hair powder was a messy and time consuming business. First the hair was covered with hair lotion known as pomade or pomatum which helped the powder to stick. Then the person being powdered was covered with a powdering gown or protective apron whilst the powder was applied using a set of bellows. A cone shaped device could be used to cover their face to prevent the powder going into their eyes. Ideally, this operation would take place in a special room – a powdering room or closet – in order to contain the mess. 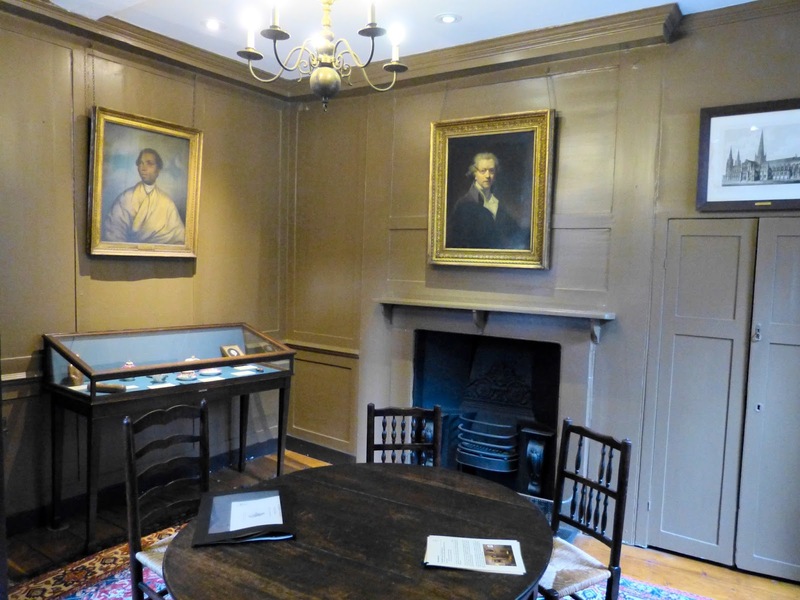 In Dr Johnson’s House Museum in Gough Square, London, there is a set of double doors off the parlour which lead to his powdering closet. This was where he stored his wigs and sat to have powder applied without spreading it all over the house. In A Perfect Match, set in 1788-9, the heroine’s mother, Mrs Westlake, wears her hair “fashionably powdered”. She could have bought her hair powder from Sharp’s along with the Olympian Dew she used to prevent wrinkles. You can read about the wonders of Olympian Dew in an earlier blogpost here. What does “stamp included” mean? William Pitt the Younger introduced a sales tax on hair powder in 1786. Taxing fashion was a clever move as people who wanted to be fashionable were forced to pay the tax. It is this tax that the phrase “stamp included” refers to. Clearly the seller was paying the sales tax on behalf of the consumer. The tax was charged at a rate of 1d for items costing less than 8d; increased to 1½d for items costing between 8d and 1s; and rose to a maximum of 1s for items costing more than 5s. This stamp duty was not just on hair powder but was payable on “every packet, box, bottle, phial, or other inclosure, that shall contain any sweet scents, odours, or perfumes, or any dentifrice, or other preparation for the teeth, or any pomatum, hair powder, or other preparation for the hair”. (7) However, it was only the hair powder that was advertised as “stamp included”. “Rose, Orange, Jessamine, Violet, and white Marechalle Pomatums, that will keep good in any Climate twelve months; 1s per Roll and Pot. The Pomade de Grasse, Sharp has sold with great Reputation and Success for many Years; and now, as heretofore, does most solemnly assure the Public, that it will certainly and effectually thicken and strengthen the Hair; keep it from falling off or turning Grey. Sold with Directions for Use. In 1795, Pitt introduced a new tax on hair powder. Those wishing to use hair powder had to obtain an annual certificate for the privilege at a cost of one guinea. There was an outcry against the expense of this licence and the tax did not have quite the effect that Pitt had hoped for. There was already a move toward more natural hairstyles and many people chose to abandon their hair powder altogether rather than spend a guinea on a licence. The tax never brought in the anticipated revenues; it simply hastened the demise of the fashion for hair powder. (1) From Chapter 10 of A Perfect Match by Rachel Knowles (2015). (2) From The Sylph by Georgiana Cavendish, Duchess of Devonshire (1778). (3) From The Journal of Mary Frampton (1779-1846) by Mary Frampton, edited by Harriot Georgiana Mundy (1885). (4) The monetary system was in pounds, shillings and pence represented by the letters l, s and d respectively. (5) This is difficult to read but I think it says 11s, that is, 11 shillings. (6) From "To The Ladies. Sharp,." Times [London, England] 12 Apr. 1788: 2. The Times Digital Archive. Web. 24 Jan. 2015. (7) From Debrett (ed), The Parliamentary Register or History of the Proceedings and Debates of the House of Commons during the third session of the Sixteenth Parliament of Great Britain (1787).